This stunning solitaire comprises of a four claw collet with inverted V detail. This ring can be set into 18k yellow, rose, and white gold, and platinum. The plain band can be diamond set, if preferred. This ring can be made for budgets starting from approximately 1,500 euro. 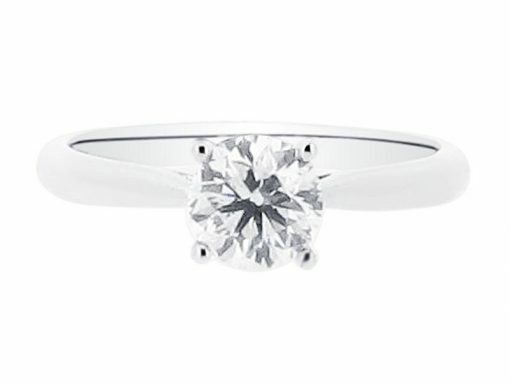 A wedfit style, a straight wedding ring will sit flush against this ring. Do you love the shape but you prefer emerald cut diamonds? Or perhaps a different gemstone? Discuss your options with us at our comfortable offices in Dublin City Centre.